Understanding the importance of keeping abreast of today’s rapidly changing medical industry, Park Medical Management is committed to the continuing education for our staff through workshops and seminars focused on the medical specialties we serve. Our team is prepared to face even the toughest issues including the eventual inception of ICD-10CM, post payment audits, and PQRS measures to avoid payment cuts. 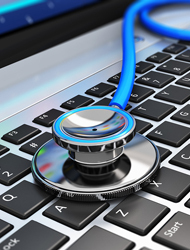 All medical billing coders are AAPC certified. Each member of our staff is cross trained and prepared to assist you with any questions. Credentialing is vital, ongoing process. Without proper credentialing, insurance companies may only partially pay, or even deny, a claim requiring the patient to pay the balance. The diversity of patients necessitates a provider to be credentialed in all networks, which can become overwhelming due to critical deadlines and a vast array of forms. Our expert staff understands the complexities of insurance companies and will ensure your providers have fulfilled critical payer requirements to improve revenue realization.